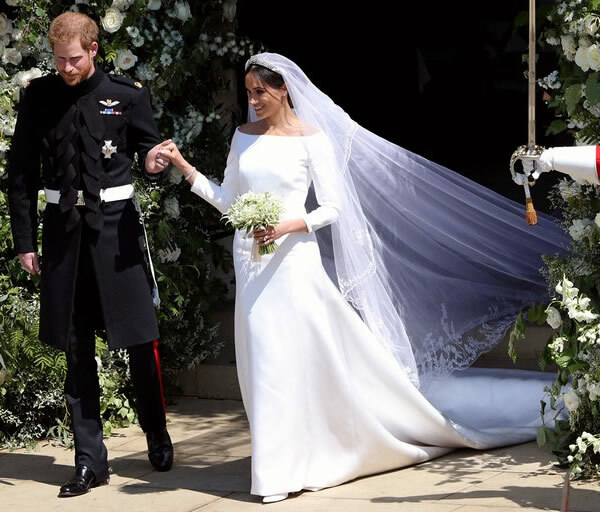 Meghan Markle chose acclaimed British designer Clare Waight Keller, the first female Artistic Director at the historic French fashion house Givenchy, to design her dress, valuing the designer's "elegant aesthetic" and "relaxed demeanour". In other words Ms. Markle was after an elegant yet relaxed creation. They first met over a year ago and the result was the amazing dress admired by billions - a stunningly simple satin dress with a flowing train, stunning veil, and delicate jewellery. - the double-bonded silk gown had a soft matte lustre. 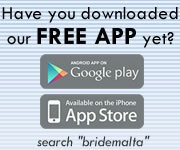 - a clean dress shape that emphasizes the brides slender waiste. It begins at the bust, shaping down like a tulip as it closes slightly at the hips and flares out slightly above the knees. - a five metre long antiqe lace veil, made of silk tulle veil. The veil is symbolic of Prince Harry's role as Commonwealth Youth Ambassador, featuring 53 unique hand-embroidered flora, one for each Commonwealth country. Of course you'll have noticed the amazing Queen Mary Diamond Bandeau tiara lent by the Queen. Made in 1932 for Queen Mary, it has a centre brooch made in 1893. Ms Markle wore simple diamond earrings, a bracelet from Cartier and pointed Givenchy shoes made of a silk duchess satin. 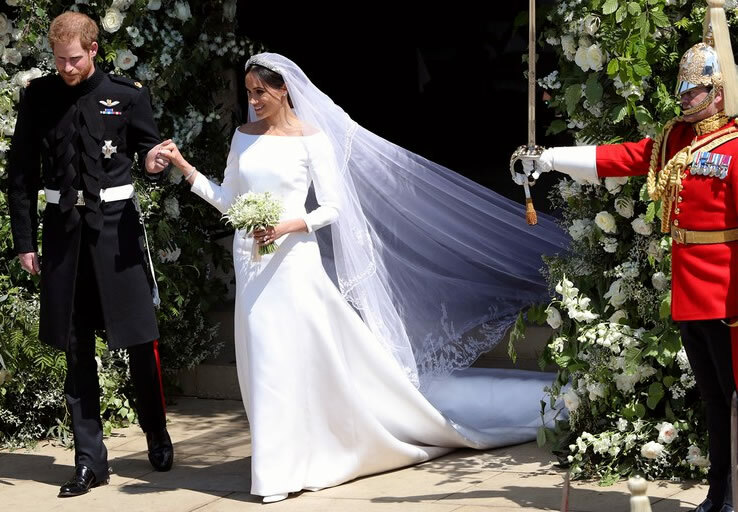 The bridal bouquet included Forget-Me-Nots in respect of Princess Diana and a selection of flowers chosen by Prince Harry the day before, arranged by florist Philippa Craddock.